UKBC are registered Thermal Bridging Calculation Assessors with Stroma. Thermal bridging analysis – also known as cold bridging analysis – calculates heat loss at any weak points in the insulation of your building. UKBC routinely carry out thermal bridging temperature calculation as part of your SAP Calculations or SBEM Calculations. Thermal Bridging Calculations are required by Part L of The Building Regulations – however, they are only necessary for new builds (L1As & L2As). You are likely to lose heat through weak points in your insulation. These areas include corners, where the roof meets the walls, or where an element with higher thermal conductivity penetrates the insulation of your building. You refer to these areas as ‘thermal bridge junctions’. Making sure your thermal bridging values are compliant with Part L of The Building Regulations ensures your building is energy efficient. Measuring the lengths of all thermal bridge junctions. 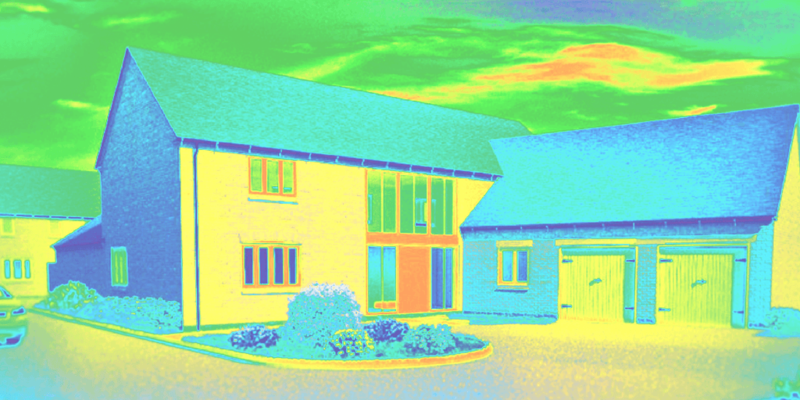 Your thermal bridging analysis should take place at design stage, preferably as part of your SAP or SBEM calculations. However, we can conduct them separately if necessary. This will ensure compliance from the outset, reducing the risk of having to make costly changes later on. In order to carry out the test, you or your architect should supply us with a complete set of plans. UKBC can arrange thermal bridging calculations within 5–10 working days from when you make a request.